When word dropped that Equifax, one of the three largest credit agencies in the U.S., suffered a breach from a “website flaw that could have been easily fixed”, people started to take notice. With more than 143 million people having lost their personal details, there’s no wonder why Equifax is facing questions from legislators and the public. Think about this: there are roughly 326 million people in the United States today (9/14/2017). 143 million consumers would represent about 40% of the country’s population. With that being said, web and cyber security isn’t just for the Fortune 5000 companies like Equifax, Chipotle, Gmail, and DocuSign, who all faced data breaches this year. While big names make headlines, attacks against small businesses have fallen under the radar. The problem is that most small-business owners don’t know where to begin when it comes to ramping up their web and cyber security. But, it doesn’t need to be that way. There are plenty of easy things that can be done in-house, such as regularly running software updates, updating passwords, and making sure that your data and files are backed up routinely. Beyond that, relying on web and IT professionals for security products and services will continue to be a growing trend–for good reason. There isn’t any single task that will prevent your website from being hacked, your customer’s data being compromised, or the integrity of your company being potentially jeopardized. Implementing a multi-layered approach is the best line of defense. While the inevitability of an attack looms, the outlook may seem bleak, and investing in security perhaps not worthwhile. But that couldn’t be further from the truth. Did the U.S. Men’s National Team hang up their skates when everyone said they couldn’t beat the Russians in the 1980 Olympics? Did Bill Gates give up on Microsoft Office when WordPerfect was the dominant word-processor at the time? Did Hannibal retreat his 20,000 member army at Cannae when a superior Roman force of 72,000 warriors were bearing down on their throats? Failing to prepare is preparing to fail. The only way to beat the odds is to get on an even playing ground. Educate yourself on best practices, seek guidance on where you might be most vulnerable, patch any weaknesses, and develop a security response plan for potential incidents and recovery. FAQ: Are HTTPS and SSL the same thing? No. Many people will use the acronyms interchangeably. And while HTTPS and SSL can and should be used in the same sentence, they are not synonymous. Just like peanut butter and jelly, HTTPS and SSL, create a nice one-two punch, but outside of their relationship, they are strong independents. They are the Marvin Gaye and Tammi Terrell of web communications. A certificate is necessary to create an SSL connection. There are many different kinds: check out this guide for more info on the different types of SSL Certificates. Once purchased, validated, and installed, two cryptographic, a Private Key and a Public Key, are created. HTTPS is a communications protocol for secure communication over a computer network which is widely used on the Internet. HTTPS consists of communication over Hypertext Transfer Protocol (HTTP) within a connection encrypted by Transport Layer Security, or its predecessor, Secure Sockets Layer. HTTPS connections are enabled when a SSL certificate is configured for a website on a web server. To make matters more confusing, you could also use TLS (Transport Layer Security) to obtain HTTPS. Either way, without setting up a TLS/SSL certificate a web browser can only access websites via HTTP and all data sent to the server can be read over the network. This is becoming increasingly problematic, especially as major search engines and web browsers begin to put more stock in HTTPS. Ain’t no mountain high enough, ain’t no valley low enough, ain’t no river wide enough, to keep me (SSL) from getting to you babe (HTTPS). Orpical Group is a full-service online marketing agency and business consulting firm. With locations in New Jersey and Philadelphia, we specialize in logo design, branding, web design and development, search engine optimization (SEO), and pay per click management. 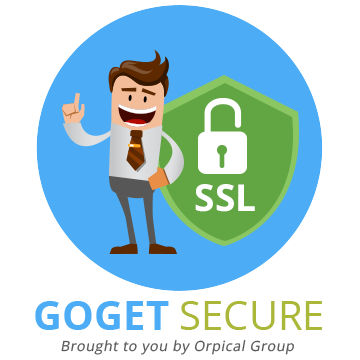 Professional SSL Certificate Installation by our team at GOGET SECURE makes moving from HTTP to HTTPS simple. Eliminate browser warnings, improve SEO, and build credibility and trust without any downtime. An HTTP to HTTPS migration should be easy and affordable without any hiccups. Now it is. Let our team at GOGET SECURE help you make a seamless switch. https://orpical.com/wp-content/uploads/2017/06/why-is-my-website-not-secure.png 830 2048 Stefan Schulz https://orpical.com/wp-content/uploads/2013/04/OrpicalGroup-HighRes-06-300x125.png Stefan Schulz2017-06-06 13:08:102018-07-06 18:02:26Why is My Website Not Secure? It can happen while you’re checking the weather on your local news app or perusing the latest Buzzfeed list. It could be something as small as having your dog’s name be your password for everything from your work email to your Starbucks app. (And, note to self, adding the number 1 to the end of the name doesn’t really help). Honestly, it can happen in your sleep. And no one is safe. While it’s no secret to any Internet user that cyber attacks are consistently on the rise, there is a startling trend in cyber security breaches that you need to be aware of in 2017. Research by BizTech reveals cyber security for small business is of the utmost importance now more than ever before as hackers shift their focus toward companies that formerly flew under the radar. The Federal Communications Commission is warning small businesses to ramp up cyber security however possible using resources like its recently released Cybersecurity Tip Sheet. What the need for increased cyber security for businesses means from a practical standpoint is greatly important for any business despite its size. The solution: BizTech goes as far as to call phishing the number one concern for small business owners in 2017. Why? Because scammers are constantly ahead of the curve with new strategies, techniques and tactics using every platform imaginable. From e-mail to texts and social media posts, nothing is safe from effective malware. Identifying ways to protect your business from cyber security threats starts in the same realm the hackers are targeting: the human element. Combatting it begins there, by empowering employees to know how to suspect suspicious communication and understand when not to click on something from someone they don’t know. It may not seem as efficient at the moment to invest valuable employee time on education regarding the danger of encrypted web sites or pop-ups, but even the occasional mention of such things during a routine meeting can help prevent an attack. The solution: First of all, acknowledging there is a need for cyber security in business is the first step to protecting one against attack. This is true particularly in a world where a recent study conducted by Kaspersky Lab found 90 percent of businesses of all sizes had admitted to having some kind of security incident. What happens as a result of those kinds of breaches is not only troubling from the standpoint of the exposure of sensitive data, but also is capable of shutting a business down entirely. The same study found the cost to recover from a data breach averaged around $38,000 for small businesses, a cost too high for many to bear. Intelligent security capable of monitoring, and thereby potentially preventing data loss, is an option. Another option that goes back to basics is intelligent employees. Taking time to educate employees about the importance of understanding cyber security in business is a small investment to make considering the bigger picture. The FCC recommends training employees in security principles as soon as possible. That means helping facilitate the development of strong passwords and respecting how the Internet is used in the workplace. That also means putting a proper system in place to penalize those who do not adhere to company standards and policies. The solution: One of the most common problems in cyber security has one of the easiest fixes. 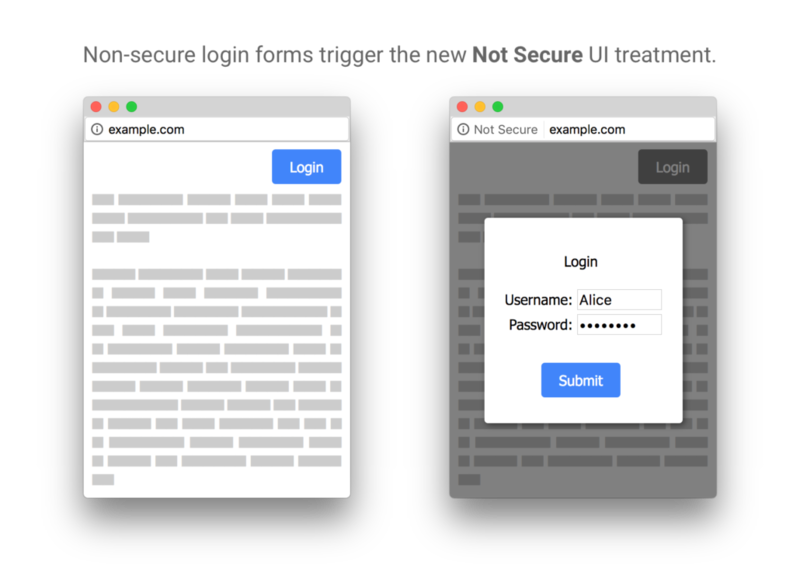 Everyone knows it can be a pain to maintain multiple passwords for various platforms in both our personal and professional lives. That’s why many of us resort to having a standard password we use for everything, to help ease the process of logging in to anything from our online banking profile to Facebook. Not only is it the most common source of vulnerability particularly for small businesses, but that is what attackers are hoping for. That makes us targets. It’s a pain. This we all know. But developing strong, reliable passwords falls into the “no pain, no gain” category when it comes to small business cyber security. A 2016 study by Verizon found that 63 percent of confirmed data breaches were related in some way to a weak, default or stolen password. Having a company policy in place that establishes guidelines for passwords, and requires them to be updated regularly is a good place to start. Beyond that, BizTech suggests putting a two-factor authentication process in place. The solution: Update, patch, backup, repeat. Malware is capable of reaching anyone these days, Ransomware is running rampant and the cloud is a bittersweet business adaptation that can make and break your business. So what do you do to keep your small business safe? Making sure you have the latest updates installed and patches in place is step one, followed by making sure everything is safely backed up. For some, that is where the cloud comes into play, and rightly so. Cloud computing has been the way of the future since yesterday and has had a profound impact on business practices worldwide. Yet it needs to be approached and handled with care, just as anything else. Taking some time upfront to choose the right cloud-based technology could help save your business in the long run.